How many crashes are acceptable on our roadways? Click this 30 second video to learn why zero is the right number. What is Vision Zero all about? At the core of the worldwide Vision Zero movement is the belief that death and injury on city streets is preventable – in other words, that traffic crashes aren’t accidents but are the result of poor behavior combined with unforgiving roadway designs. A Vision Zero policy establishes a goal of reducing traffic fatalities and serious injuries to zero, typically by a target date. 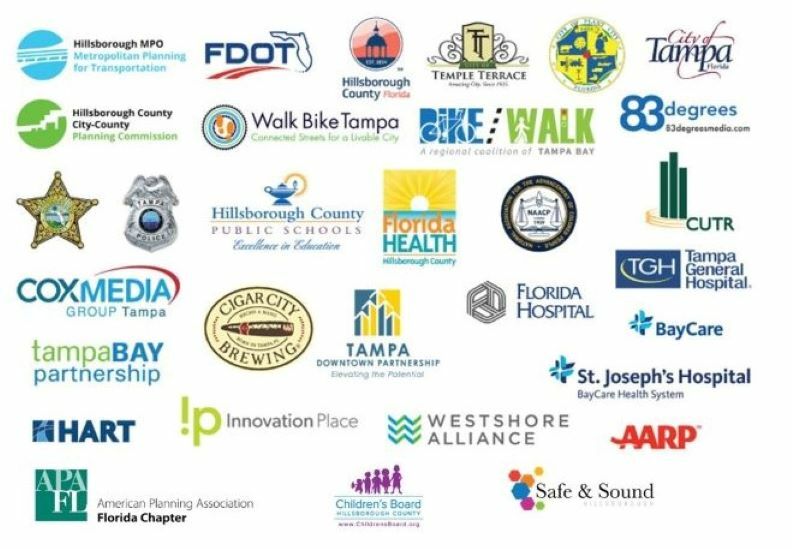 Here in Hillsborough County, a Vision Zero goal resolution has been adopted by the Tampa City Council, Hillsborough County Commission, Temple Terrace City Council, Plant City Commission, and by the School Board of Hillsborough County.